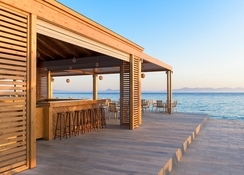 The lovely Greek island of Rhodes is home to the Avra Beach Resort Hotel & Bungalows, which lie right on the sweeping beach at Ixia, west of Rhodes Town. This terrific family resort provides an All Inclusive package and offers 129 double rooms and 95 ground and 1st floor bungalow rooms, all well-equipped and generous in space, and nestling in landscaped grounds with palm trees and colourful gardens. At the Avra Beach Resort Hotel & Bungalows, couples and families can enjoy good eating options, inviting pools, sports facilities, a fun Mini Club for children and also teenagers in high season, and daily/evening animation programme. 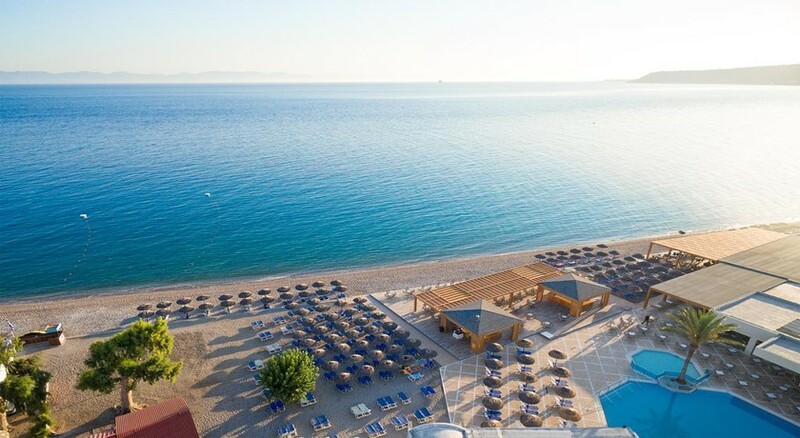 With an architectural style typical of Rhodes, and friendly attentive staff, you can spoil yourself and family by booking into the Avra Beach Resort Hotel & Bungalows and experience great hospitality in a delightful climate. 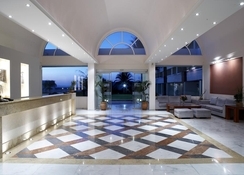 Getting to the hotel: 7km to Rhodes International Airport. Local tips: The hotel is within easy walking distance to nearby shops, bars and restaurants, and with the hotel and resort being all on the same level, it is suitable for everyone. Rhodes Town (6km) is a few minutes' drive along the coastal road, and can be easily reached by public bus which stops right outside the hotel entrance. Food, drink and entertainment: Main buffet-style restaurant serves extensive variety of dishes, social bar, poolside bar, snack buffet service, TV room, evening animation programme (6 days per week) for adults and for children. Sport, games and activities: Swimming pool, sun terrace and gardens, loungers & parasols, Jacuzzi, direct beach access with sun beds (local charge), beach volleyball court, tennis, table tennis, darts, aqua-aerobics, and access to external water sports 800 meters away; daily activities hosted by animation team. For the kids: Children's swimming pool, Mini Club (4-12 years) and for July to August a separate Teen Club and Junior Club, all with supervised activities. Additional: Front Desk services, housekeeping, tourism advice, internet corner, mini market, and car & bicycle rental.